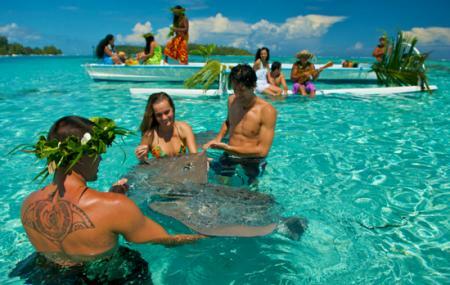 One of the most beautiful diving sites in Bora Bora, the Leopard Rays Trench is known for its crystal clear waters. You can practically see the giant Manta Rays penetrating through the waters. The white sandy bottom makes it even better to explore the marine life! You can explore Leopard Rays Trench by opting for a diving tour! The diving tour operators have variable schedule and ticket prices. How popular is Leopard Rays Trench? People normally club together Baldini Perles and Moana Adventure Tours - Vaitape while planning their visit to Leopard Rays Trench.